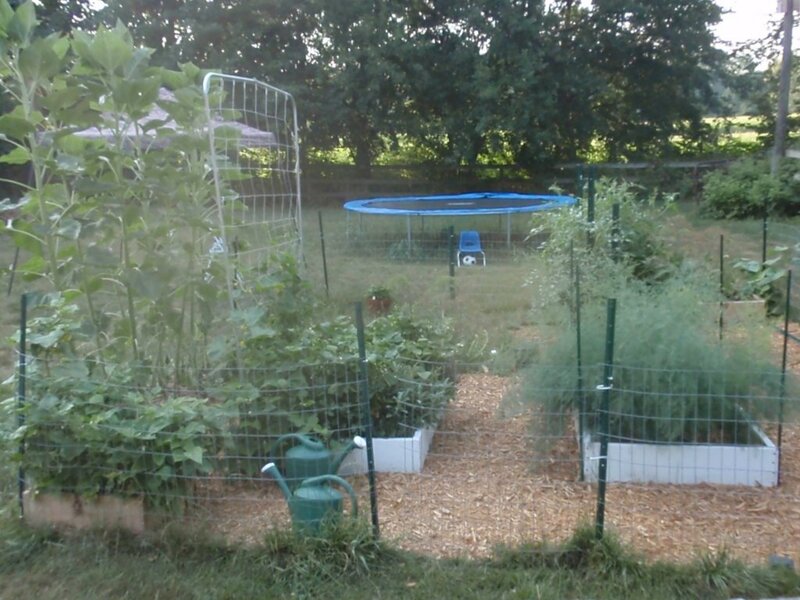 I wanted to show the growth of a square foot garden over the course of a season. It is hard to visualize what a garden will look like when the plants are fully mature at the time the garden is first planted. What seems spacious at the beginning can get cramped by the end of the season. I used the following parameters for this photo project. 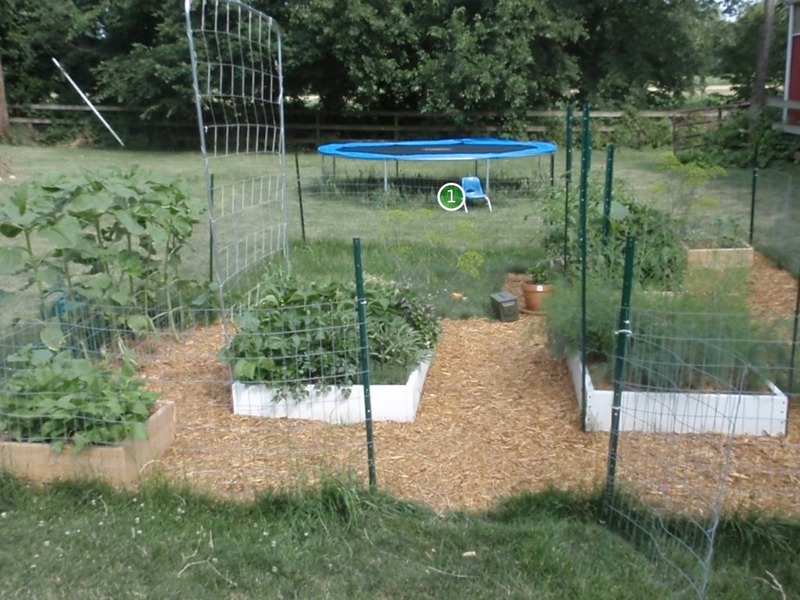 Take a photo of the entire garden once a week during the growing season. Take the photo on the same day and time each week. Take the photo from the same place and camera angle each time. I didn’t always succeed in meeting these parameters mainly because I forgot to take the picture on a given week. However, I think there are enough photographs to meet the original goal. Square Foot Garden 5-28-12. Notice how wide aisles between the rows are. The paths have been mulched with cypress. I have used numbers to explain what will be growing where. 1) Early in the season the tomatoes and peppers are the tallest plants in the garden because they were started indoors and transplanted. 2) This is the asparagus bed. 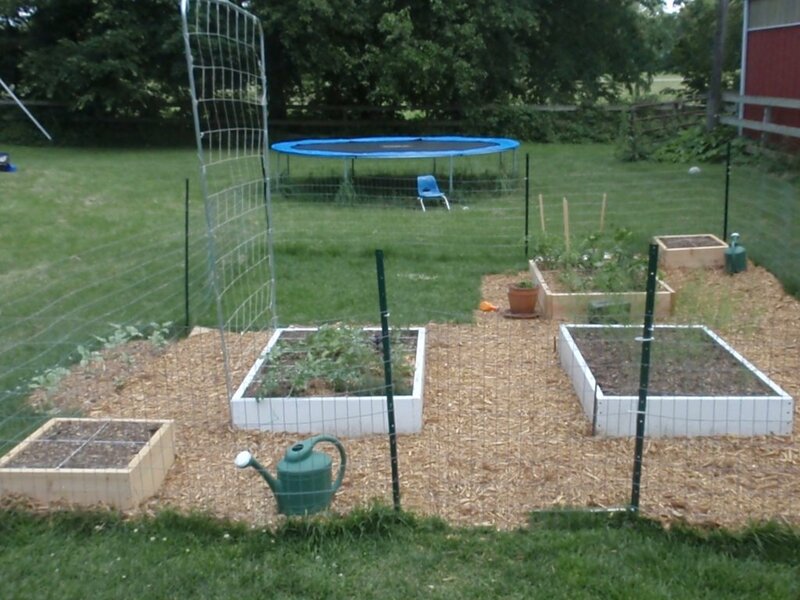 3) This bed will contain bush beans, herbs, radishes and watermelons. 4) This area will grow Mongolian Giant Sunflowers. 5) This grow box will have bush beans and pickling cucumbers. 6) This bed will have pickling cucumbers, watermelons, nasturtiums and zinnias. 7) Strawberry in a container. Square foot garden 6-3-12. You can see the Mongolian Giant Sunflowers have sprouted. The asparagus has also started to shoot up. I have also added a trellis for the cucumber vines. Square foot garden 6-10-12. The tomato trellis has been added. The asparagus is flopping over into the aisle. Square foot garden 6-17-12 Support for the asparagus has been added to keep it up right and growing in its bed. Square foot garden 6-24-12. 1) The volunteer dill plants are flowering. Square foot garden 7-16-12. 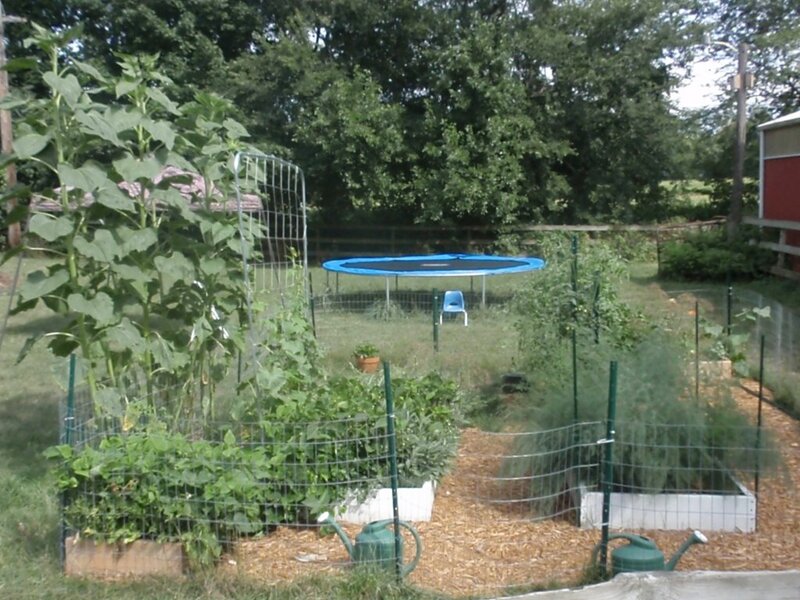 The sunflowers are now taller than the cucumber trellis. Square foot garden 7-22-12. I use watering cans to water the garden. I fill them up when I am done so that the water will warm in the sun. 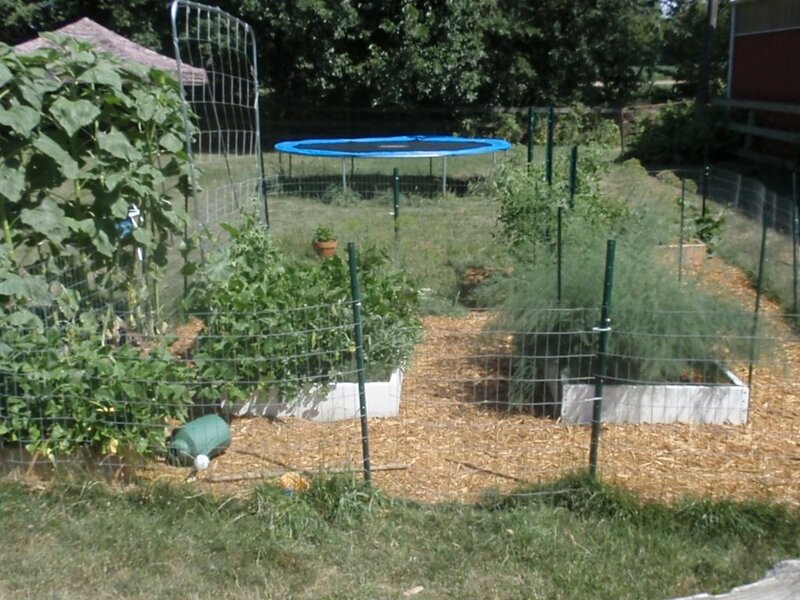 Square foot garden 8-5-12. The tomatoes are using all of their trellis space. Square foot garden 8-19-12. The sunflowers have started blooming and the bush beans are starting to dry out. 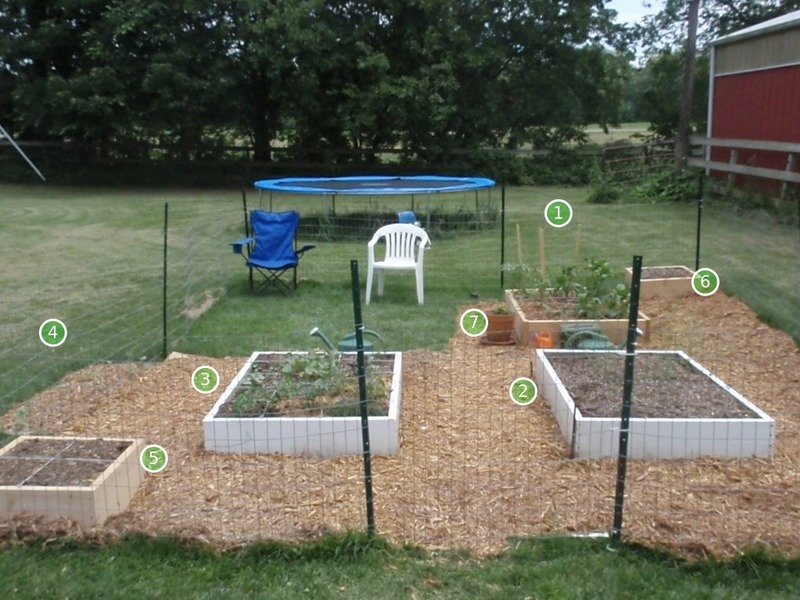 Why mulch paths between raised garden beds. 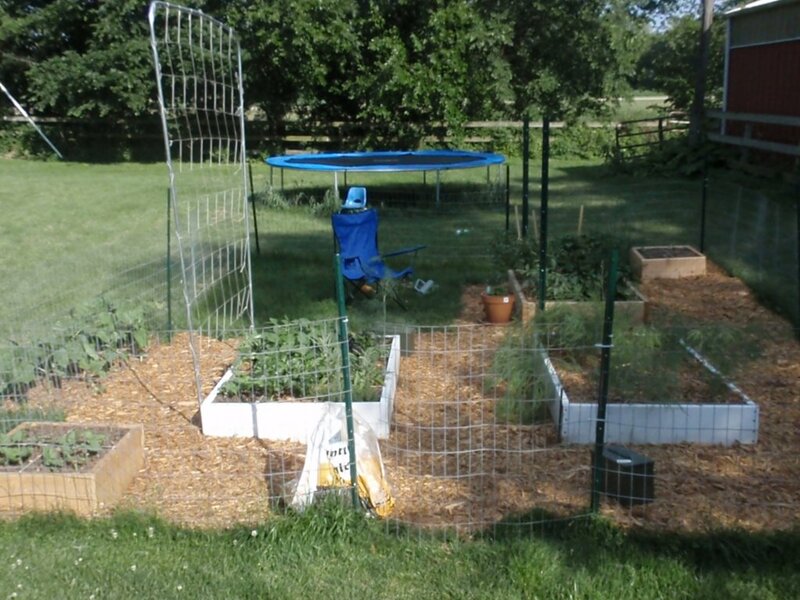 Using vertical space with a trellis in a square foot garden. 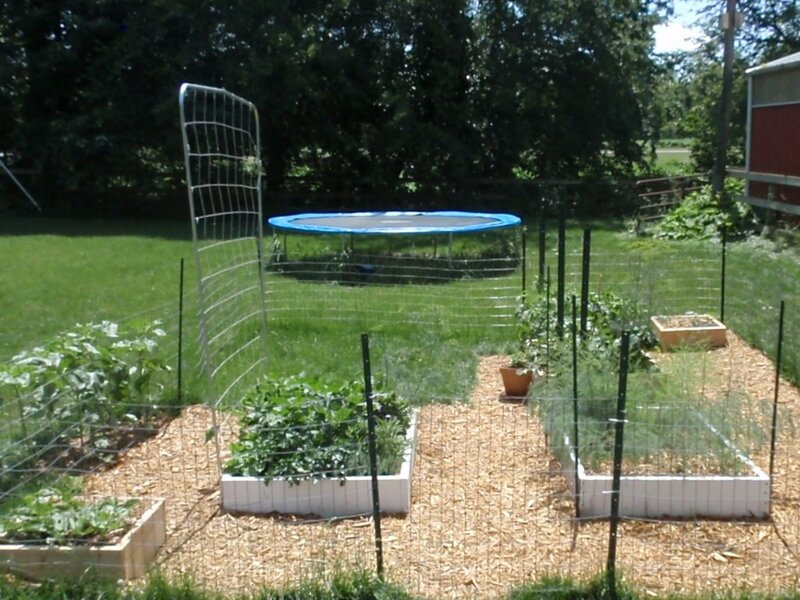 A tomato trellis that won’t fall down. How big are Mongolian Giant Sunflowers? 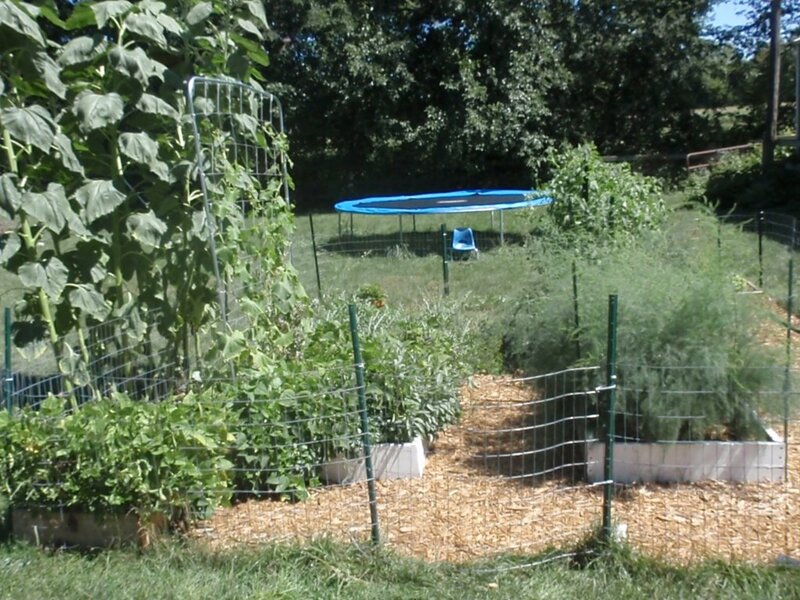 Were you surprised to see how the garden filled in over the course of the growing season? Let me know in the comments below. I really like the idea of the time lapse photography. I will definitely need to use that this spring as I plant my garden. Thanks for the idea! Thanks Bill. I will be watching to see how your garden grows. I happened across your blog as I was trolling for SFG info, as I just started this month. Never heard of it before, don’t really garden well, but we will give this a try. LOVE your pictures of the garden as time marches on. Thanks so much for taking the time to share this with others, as it really has made me more certain that I will have fun doing this! Thanks again – keep up the good work. Thanks. 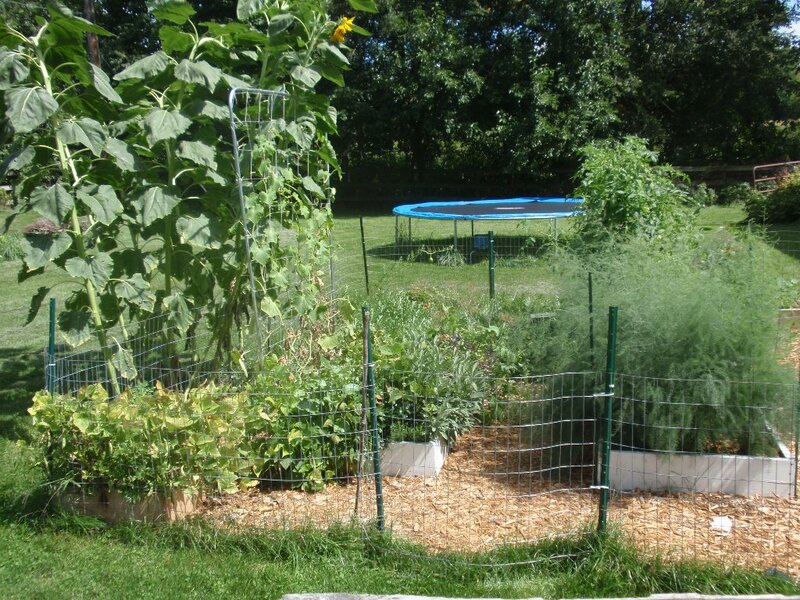 Good luck with your square foot garden. Keep in mind that you can start small with just one bed. Then you can add beds as you go. I have added a bed every year and I plan to add another this year. The system works well for me. I am enjoying some sage honey with my tea this morning.